Mesa County Commissioners read a proclamation into the record in public hearing commending Girl Scout Troop 2214 for its devotion to the Girl Scout mission and values, and for receiving the Bronze Award. The Girl Scout Bronze Award is the highest honor a Girl Scout Junior can achieve by completing a girl-led project to benefit the local community. Commissioner Rose Pugliese, Commissioner John Justman and Commissioner Scott McInnis shake hands with Girl Scouts Troop 2214 and present them with the proclamation. Chairman of the Board of County Commissioner Scott McInnis congratulates the Girl Scouts Troop 2214 for being the recipients of the prestigious Girl Scout Bronze Award. Commissioner John Justman, Commissioner Rose Pugliese, and Commissioner Scott McInnis and Girl Scouts Troop 2214. The Girl Scout accept the proclamation recognizing their accomplishments in helping Mesa County foster care teens. Mesa County Commissioners, Girl Scouts Troop 2214 and their parents. The Commissioners extend their sincere appreciation to Girl Scout Troop 2214 for their innovative and compassionate effort to serve the youth in foster care in Mesa County. Charlotte Allen, Megan Formicola, Braeleigh MacAskill, Preslee Rogers, and Elizabeth Shirley have earned the Girl Scouts Bronze Award for recognizing a need for teens and tweens entering foster care and creating care packages filled with items to help with the difficult transition for youth entering foster care. Congratulations, Girl Scout Troop 2214! The week of Nov. 13-17, 2017, is Apprenticeship Week in Mesa County. 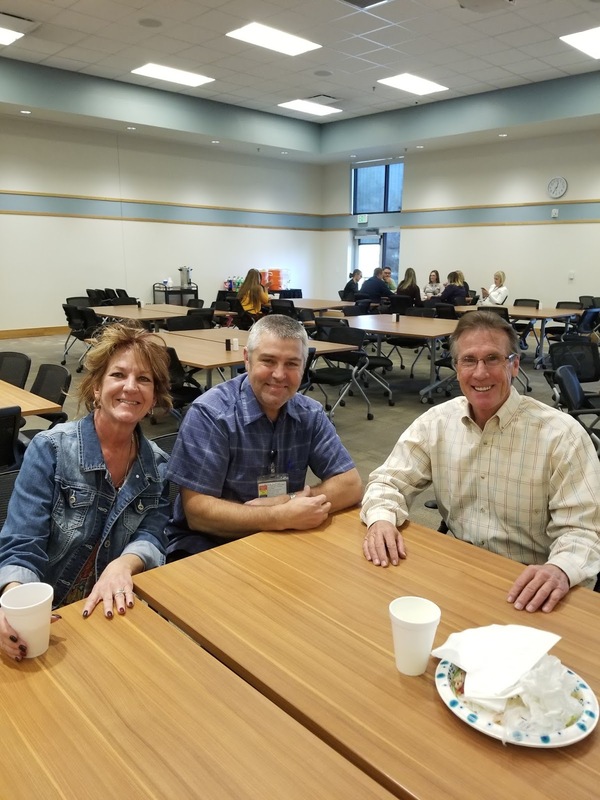 Registered Apprenticeship helps Mesa County compete more effectively in the global economy, and contributes to Mesa County’s economic development and sustained economic growth. Additionally, apprenticeship ensures quality training by combining on-the-job skills with theoretical instruction and helps mobilize the workforce in traditional industries such as healthcare, information technology, energy, telecommunications and more. Pictured above: Apprenticeship Director Western Colorado Electrical Joint Apprenticeship and Training Committee (JATC) Trish Hall, center, accepts the proclamation, in public hearing Monday. Mesa County Commissioners proclaimed November 2017 as Adoption Awareness Month in public hearing Monday. 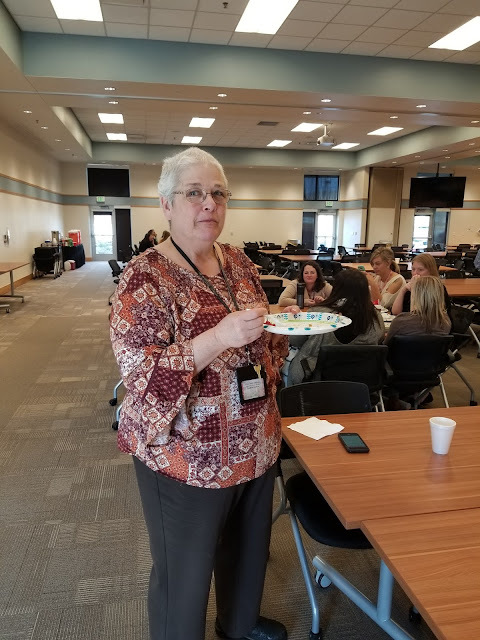 Pictured here: Mesa County Department of Human Services Family and Children Director Kari Daggett talks to the commissioners about the need for more adoptive and foster care families in the community. Soon to be adoptive parents, Jessica and Mike Johannes, share their experience and share adoption awareness in public hearing. To learn more about adoption, visit the Mesa County Department of Human Services. Every single child deserves a safe home and a loving family to protect and care for them. The Board of County Commissioners proclaims November 2017 as Adoption Awareness Month in Mesa County. 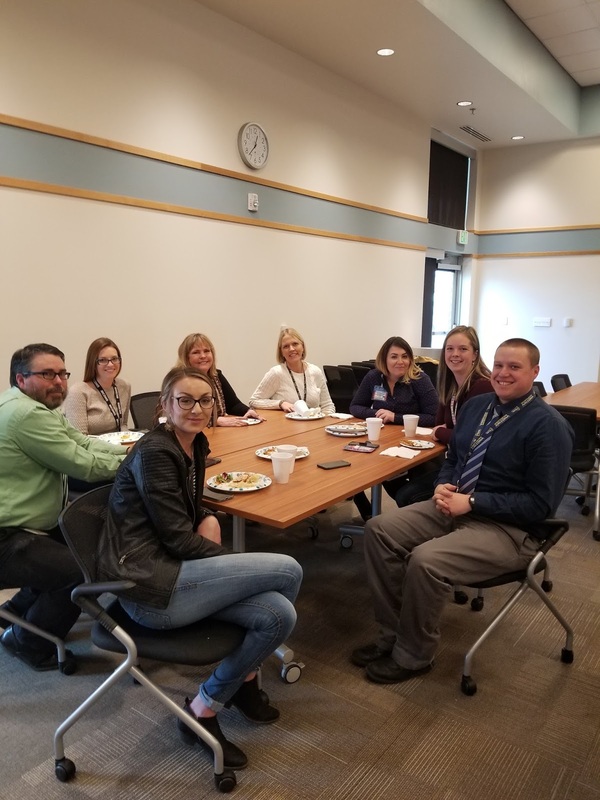 From left to right: Commissioner Scott McInnis, Mesa County Department of Human Services Family and Children Director Kari Daggett, Jessica Johannes, Commissioner Rose Pugliese, Mike Johannes, Mesa County Department of Human Services staff member Dena Neujahr, and Commissioner John Justman. The Board of Mesa County Commissioners hosts the final budget town hall before the adoption of the budget, which is scheduled for Monday, Dec. 4. 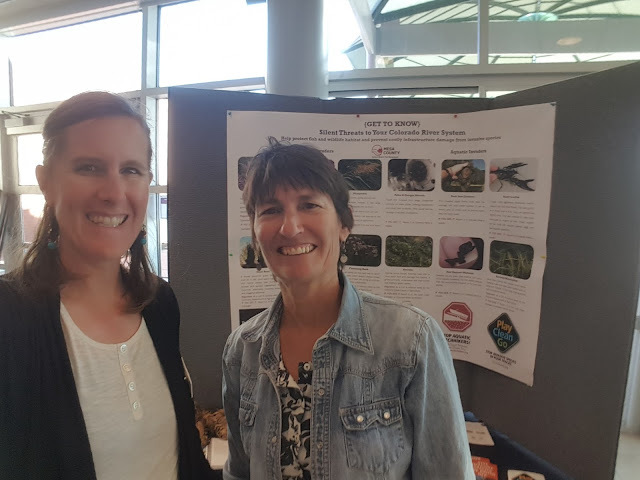 Budget documents are available at www.mesacounty.us/finance/2018-budget.aspx. A handful of Mesa County residents attend the budget town hall at the Old Mesa County Courthouse Monday evening to ask questions and express priorities. Commissioner Justman and other Mesa County employees converse before the tour of the newly renovated Animal Services facility. The facility is now open to the public. Commissioner John Justman visits with the kittens at Animal Services. There's nothing like the bond between Commissioner John Justman and the kittens at Animal Services. Commissioner Scott McInnis says a few words at the Animal Services tour Wednesday. Many leaders throughout the county gathered Wednesday to tour the newly renovated Animal Servies facility. Commissioners Scott McInnis and John Justman walk through the new and improved Animal Services facility. Commissioner Scott McInnis, left, Animal Services Manager Doug Frye, center, and Commissioner John Justman celebrate the reopening of Animal Services. The project was completed ahead of schedule and under budget. Mesa County Solid Waste Director Barrett Jensen looks like a conehead for the recycling event on America Recycles Day. Mesa County Solid Waste Management, along with local waste and recycling companies, prepare for the waste separation and sorting demonstration Wednesday, Nov. 15, on the front lawn of the Old Mesa County Courthouse, 544 Rood Ave. 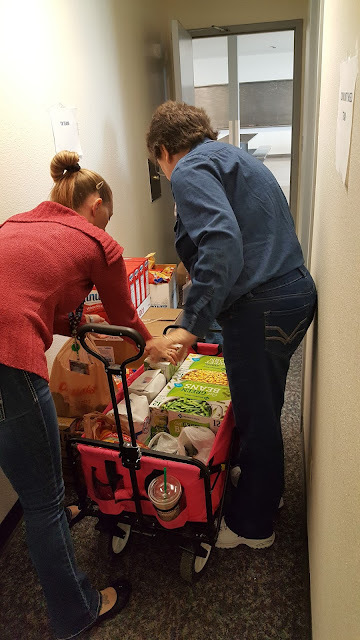 These are some of the goodies that were provided by Mesa County Solid Waste Management on America Recycles Day! American Recycles Day was a family event. Even dogs came out to enjoy all of the festivities. Bags of Mesa Magic compost was available to members of the public to take for free for attending the event. Solid Waste Director Barrett Jensen talks to the public about how electronics should not be thrown in the trash. Latex paint is one of the many things that is not an item that should be thrown away. Families showed up for America Recycles Day to learn about all the things from our trash that can be recycled or reused instead of being thrown away. A member of the public asks questions regarding recycling metals and electronics. Cardboard can always be recycled! Members of the public attentively listen to a presentation about reducing waste on America Recycles Day. Mesa County Solid Waste Director Barrett Jensen talks trash to members of the public about how you can not recycle KFC chicken bowls because of the grease. Always remember when in doubt toss it out! Great turn out at the waste sorting demonstration hosted by Mesa County Solid Waste and local waste and recycling companies. Solid Waste Director Barrett Jensen reminds people to make sure the cork has been removed when recycling wine bottles. Solid Waste Director Barrett Jensen answers questions from members of the public about recycling. Vivian rides Grand Valley Transit (GVT) daily since moving to Grand Junction in July. She said she is thankful for the friendly drivers who always help her identify the stop closest to her destination when she is unsure. Vivian also uses the bus tracking app ETA SPOT on her smartphone and always knows exactly when the bus will arrive at her stop. Check it out online at www.gvteta.com and plan your trip with GVT today! Staff members at the Mesa County Community Services Building (CSB) hosted a Thanksgiving Feast for Public Health, Human Services and Workforce Center. Pictured here— Kathy Gerlock, Clerical Team from Child Welfare, is enjoying the final bites of her lunch. Nancy Ahren, Tracey Garchar & Commissioner McInnis enjoy conversation over lunch at the CSB Thanksgiving Luncheon. Heidi Belatti and Katie Smith from Public Health enjoy their Thanksgiving lunch. 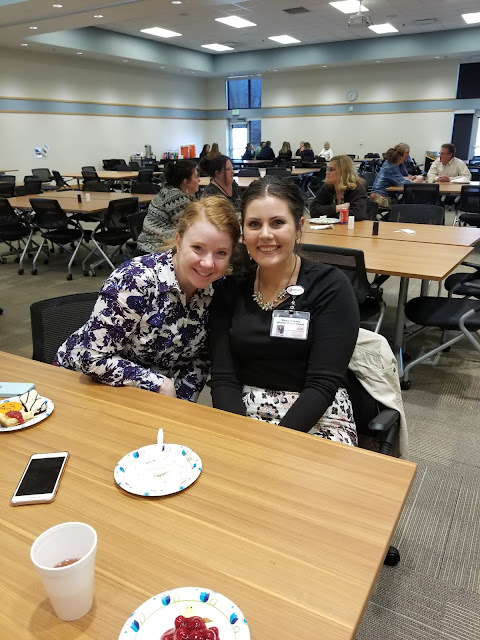 DHS Child Welfare team members take a few minutes to feast together. Criminal Justice Services Department (CJSD) staff members Leah Peterson and Angela Morgan set out their donations for the 4th annual food drive for the Community Food Bank. 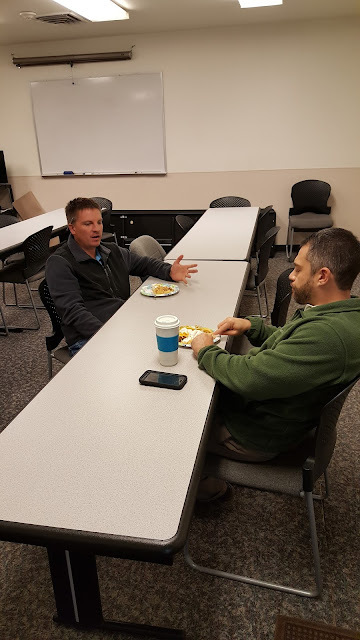 CJSD Supervisor Nick Brutosky and Manager Craig Bynum enjoying their potatoes after donating items to the food bank. 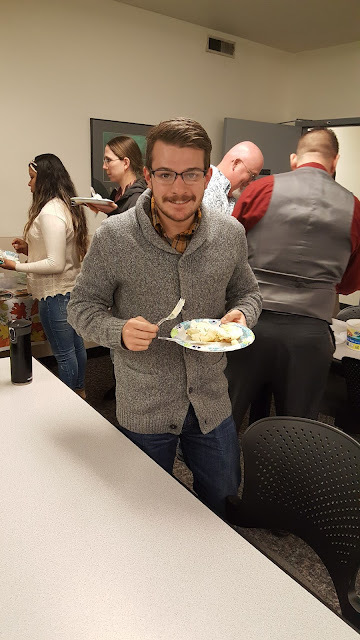 Criminal Justice Specialist Shawn McNamara enjoying the potato bar after making contributions to the food drive. Various CJSD staff members enjoy the potato bar hosted for employees who donated to the Community Food Bank. 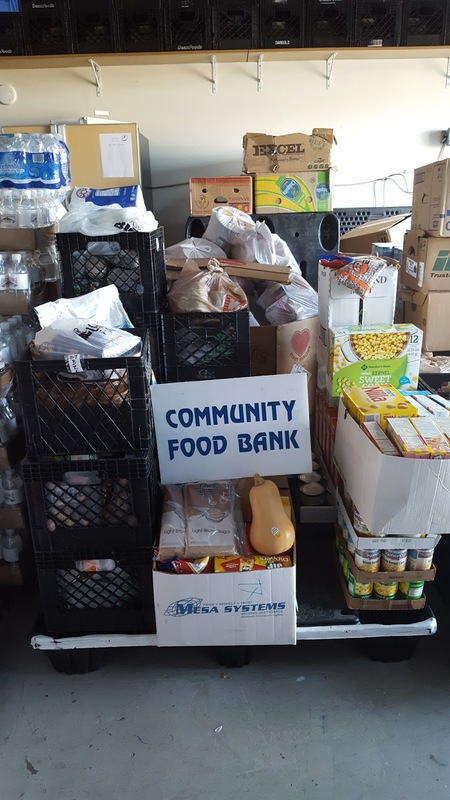 CJSD's collection for their annual food drive totaled 691 lbs! Way to go! 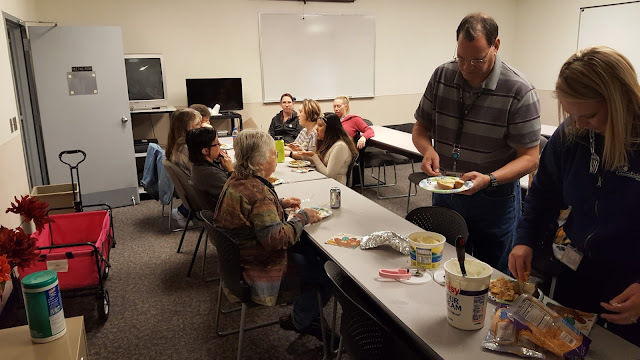 Mesa County Information Technology enjoying their Thanksgiving Potluck! 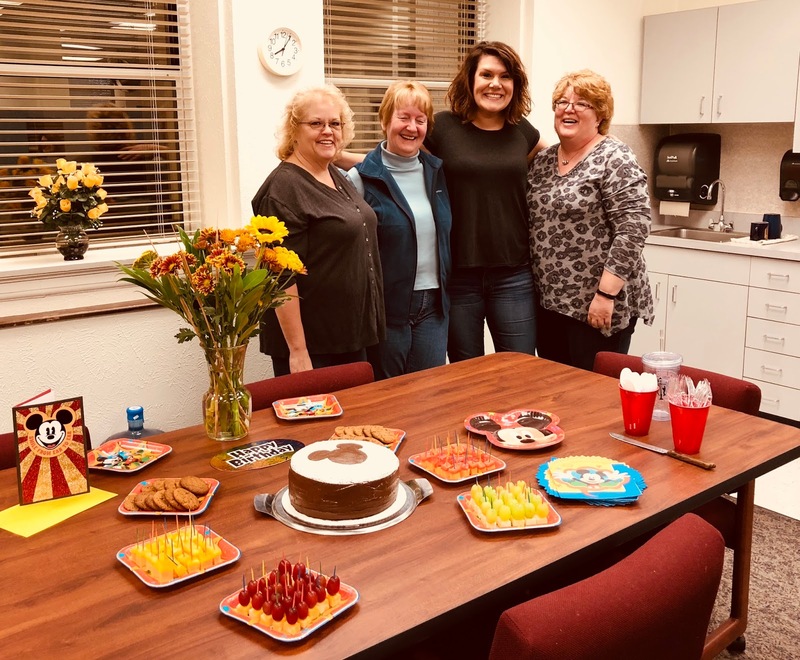 Mesa County Treasurer's Office staff members celebrate Mesa County Treasurer Janice Rich's birthday (a day early), which also happens to be Mickey Mouse's birthday (Nov. 18). Teresa Nees with Noxious Weed and Pest Management presented an invasive species display at the Upper Colorado River Basin Water Forum at the CMU Ruth Powell Hutchins Center. 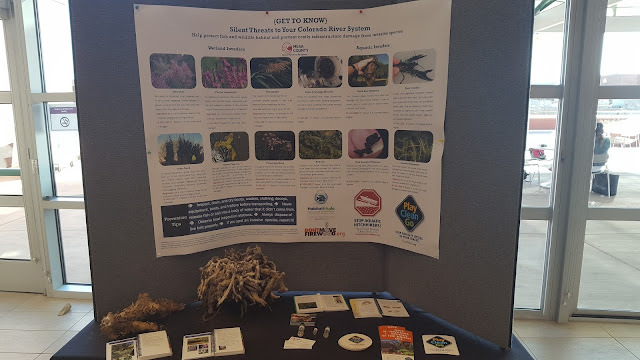 Nees visited with attendees about threats to the Colorado River including non-native plants, insects, mussels and fish that disrupt the native natural ecosystem and can also damage infrastructure. This knotty mess of wood is actually part of a root ball from the noxious weed purple loosestrife. 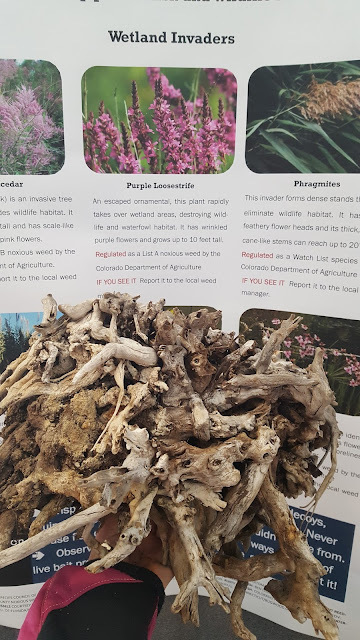 This plant thrives in shallow wetland areas, and the root system can block water flow and reduce wildlife habitat.